It’s been a crazy couple of years. Before 2017, I don’t think my name had been attached to anything big in any way, shape or form. Of course, there was the “The Armor of God” books, and Watercolor Butterfly’s album “The God Particle” in which I performed lead vocals. But considering any of those things ‘big’—hell, even ‘medium’—would be a straight up lie. But then there was “Villainous”, the CN TV show that turned out to be a massive hit, creating a giant and devout fanbase overnight, one that has only kept growing in numbers and awesomeness. 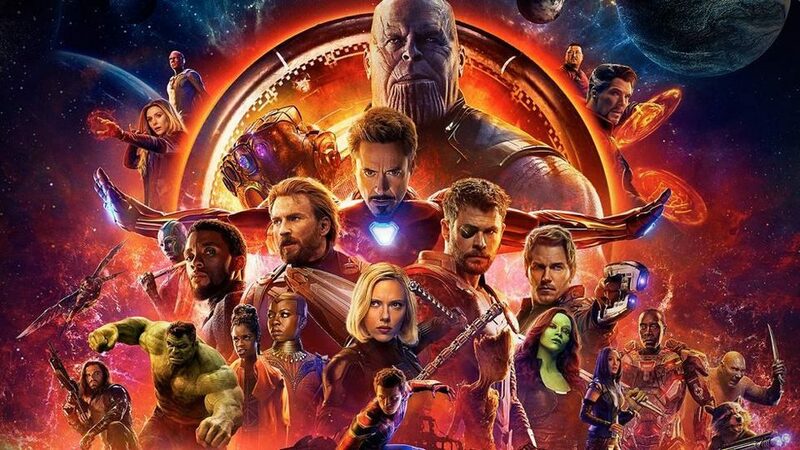 And then, a few months ago, I got the opportunity to work on “Marvel’s Avengers: Infinity War” as a Dubbing Consultant. Goddamn. It was hard to explain then, as it is now, what a big deal that was for me when I walked out of the studio with the news. I was warned that it was an exhausting, intense job, but it’s something I would’ve been happy to do it even for a movie about which I didn’t care. But “Infinity War”? My most anticipated movie in the last five-or-so years? Quite possibly the biggest blockbuster release this side of “Avatar”? The movie featuring Thanos, my second favorite character in all of pop culture? Goddamn. In short, my job was to first watch the film and support Dubbing Director José Antonio Macías (the voice of Captain America and, incidentally, Dr. Flug, so we had briefly met before) during the dubbing process. I won’t go into details of what that entailed. Suffice to say that there is this incredible sensation of pride and nostalgia and excitement swelling in me, thinking that I had creative agency in the “Infinity War” experience for millions of people who will watch the phenomenal Latin American dub. Words that I helped write in Spanish will live on forever in the movie, will be on the BluRays. That’s something amazing to me. Having the experience to work with, and learn from this group of professionals—from the incredible work by the director, the audio engineers, coordinators and of course the voice cast—was unbelievable. It was amazing to finally meet the people who voiced characters I adored when I was a kid, and to shake their hands, and see what cool, laid back professionals they are (Beto Castillo, who plays Dr. Strange, was particularly awesome with contagious enthusiasm and a huge smile all te way through). It was a dream come true in many, many ways. Not least of which the fact that I got to play a very small role in the film for what would be my second part as a voice actor (the first being the very awesome Metauro in “Villainous”). I’ll later edit this post to share which one was my part, but if you watch the movie in Spanish, you might catch me. The whole thing was exciting, exhausting, surreal, and an eye-opener: I’ll never stop being a writer, but after Metauro and this, I’m more certain that I would love to pursue a career in dubbing and voice acting. It won’t be a priority, but something I’d love to do. Acting awesome characters without having to appear on camera? Sign me the hell up. Anyway, I know this isn’t some massive reveal, but definitely an important moment in my professional career, not to mention my personal life. I would’ve loved to write this post months ago, but for obvious reasons I couldn’t—and it wasn’t easy! The movie opens today. Hope you enjoy “Infinity War” one eighth as much as I did. Something like this has never been done before, and probably will never be done again (well, unless you count “Avengers 4”, which I have no doubt will be a massive banger). It’s a huge moment in pop culture and entertainment history . . . be a part of it! Fun fact: I wore a different Thanos t-shirt every single day during dubbing.